Why would you restrict the general public from getting Body Armour? In my mind that violates an individuals right to self defence! Its like they (The State) want to be able to easily shoot you when ever they please! Body armour is any garment or item designed, intended or adapted for the purpose of protecting the body from an item or object used, or adapted, to stab, pierce, puncture or otherwise wound the body. Alberta’s body armour legislation is designed to help make Alberta’s communities safer and help police forces in their efforts to reduce gang violence across the province. The legislation ensures only those with a legitimate reason to do so or who have obtained a permit through Solicitor General and Public Security can wear body armour. 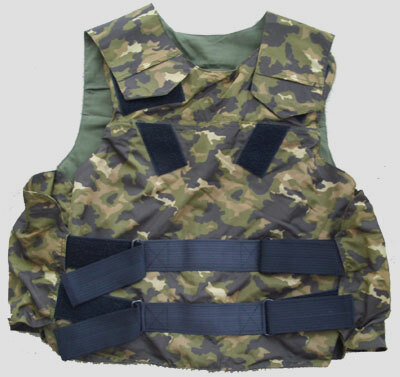 Body armour legislation was passed under the Body Armour Control Act, 2010 and will come into force June 15, 2012. Albertans have until December 15, 2012 to comply with the new rules. those found in possession of body armour without a permit or who are not exempt may face a fine of up to $10,000 or six months in prison, or both. … beggars belief. The Body Armour Control Act? WTF? !